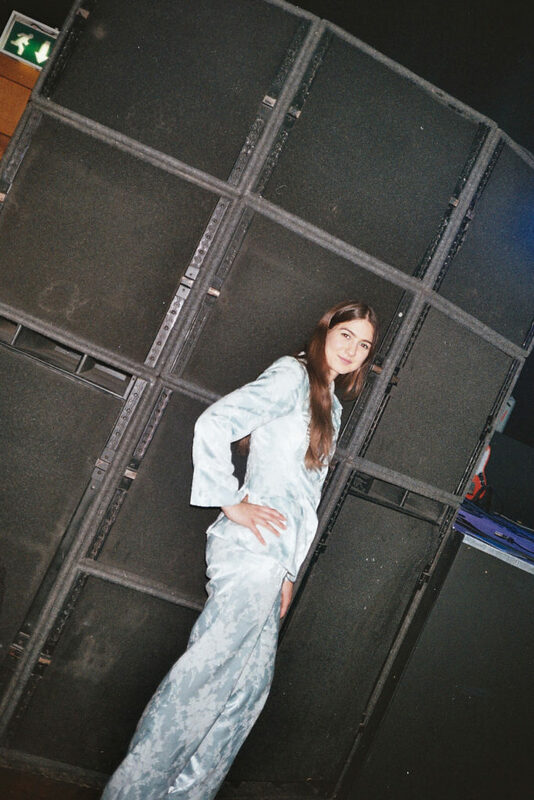 Weyes Blood came back to Europe and we couldn't miss her again! Side Stage Collective went all the way to The Dome in London to feel Natalie's amazing energy live and chat about her dream collaboration with Enya, clothes and life. I fell in love with Weyes Blood last October 21st, when she released her album "Front Row Seat to Earth". I think I ended up annoying all my close friends just from mentioning way too many times how well thought and, yes (I am going to say it) perfect it was. "Diary", "Be Free" or "Do You Need My Love" complimented every feeling and the weird phase of life I was in. After missing her first gig in Manchester due to friendship obligations and seeing that I couldn't swap my shift at work on her second, I travelled to London to finally watch that magic in real life. There is not much I can say about that hour. The whole crowd shared the same opinion. It was intense and Natalie's personality is an unexpected but very welcomed surprise. I didn't have much time to talk to her after the gig but Internet and e-mails exist for a reason (Thank you Caroline for being such an amazing PR). 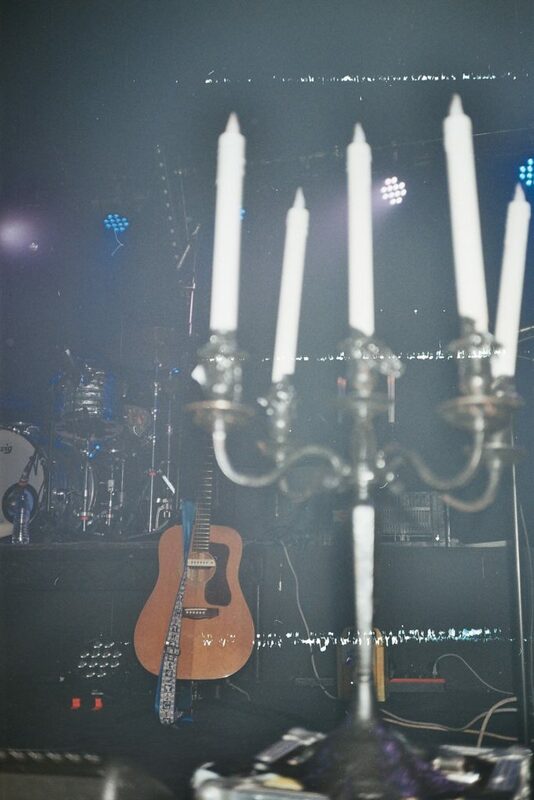 I finally got to see you live for the first time this April and one of the things I loved the most was the whole atmosphere - including the candles, etc. What feeling do you like to send to your crowd? I want to set a refined, dark mood. Something pensive where people can feel and go into a realm of imagination where all these emotions live. I also felt that every single member of the crowd rejected the idea of even looking at something else other than the stage. The connection was real. I played solo for many years before playing with a band — that really teaches you how to reach into a crowd and pluck everyones heart strings. Its not an easy task. Most people just want drums and bass, loud things. You have to really mean it, become a spectacle of emotion. Fulfill that archetype that most people are scared to. When putting a band and the album together, did you find it hard? It's a huge learning curve. As I said I started solo so incorporating other artists into the fold took a lot of balancing and exploration - its like alchemy getting the right kind of people together for what you do, takes some mishaps till you find the sweet spot, the right flavors. Kevin Morby, Ariel Pink, Drugdealer, Father John Misty. You have been touring and collaborating with a lot of male artists. Did that happen by accident? Would you like to collaborate with a female artist in the future? Someone like... Enya? I would love to - I’ve also toured with Waxahatchee and played some great shows with Julie Byrne, Circuit des Jeux. Meg Duffy who plays guitar with Kevin Morby and plays guitar on my last record, she’s my favorite guitarist. Ultimately a collaboration with Enya would be a huge life arc moment for me as she’s my ultimate beautiful music archetype. One can only dream. I also really love Julia Holter, I have a feeling we may end up doing things together someday if the stars align, we’re pals. Most of the time, women are so good they don’t really need to invite other singers onto their records, you know what I mean? Hah. You've also moved a lot during this years (a little bit like me). I'm curious to know what is the meaning and importance of 'Home' for you? Where do you feel yourself the most? Home is definitely relative as I identify with so many places. The ocean and the mountains, especially in California, make me feel especially at home. I lived in California as a child, my family goes back there six generations which is very rare for such a young part of the world, so I have a deep connection with it. I also lived in Pennsylvania for all my teenage years, so there’s also an old abandoned “steal belt” person in me. I was very inspired by the old colonial remains of New England as a teenager, and the spooky leafless trees in the winter. There’s a certain smell the mud gives off that makes me feel like I’m truly home. Last question. It's a serious and deep one. Where do you buy your stage clothes? I rented the suit from a costume studio - it was in the “cosmopolitan cocktail” section. Suffice to say I ended up just absorbing it. Now its so much my own I’m pretty sure they wouldn’t even want it back. Can you tell we could be best friends? Weyes Blood will be back in Europe this autumn with Father John Misty. You don't want to miss it. Believe me!